Current Affairs 2015 October with Latest Current affairs 2015 Quiz October for preparation of IBPS, RRB, SBI, Railways and other exams. Our Current 2015 October page covers various Current sections like banking & finance Current Affairs 2015, business & economy, Indian and International affairs 2015, defense, environment current affairs, persons and many for competitive exams preparing aspirants. Immediately get all the important details of Date-wise Current Affairs of 2015 October here. This page displays date-wise 2015 October month top events of International, National, Sports, Business, Banking and more with clear explanation and more useful facts. Government job & Private Job aspirants can use this best resource for their quick and easy preparation. 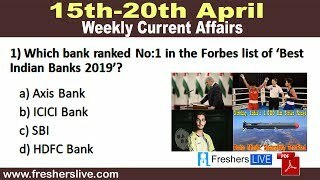 Fresherslive - Current Affairs of October 2015 covers all the general topics which are surely asked in the competitive exams as well as interviews. 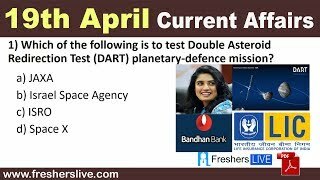 It is recommend to try Date-wise 2015 October Current affairs quiz, after going through these Date-wise current affairs news. 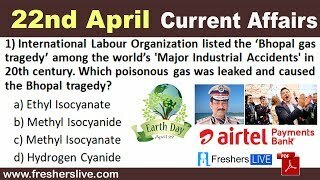 Date-wise current affairs Quiz questions are designed in an endearing and better way to revise all the important points of current events of that particular date. Correct answers are shown at the end of each date’s current affairs Quiz to scale up the candidate’s grasping level of General Knowledge. Nowadays, in most of the competitive exams and interviews, there is a separate section for current affairs which plays a major role in final merit listing of Candidates. 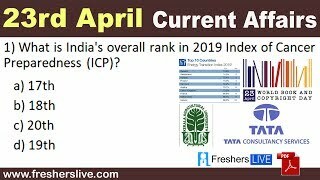 Make use of this precious 2015 October current affairs updates and date-wise quiz material for preparing Top competitive exams like UPSC, SSC CGL, SSC CHSL, SSC MTS, LIC AAO, RBI Grade 'B' & Assistants, NABARD Grade A & B, SBI PO & Clerk, IBPS PO & Clerk, IBPS RRB Officer Scale 1 & Assistants, CAPF, etc,. Surely, you can't miss any October Current Affairs 2015 on checking this page frequently. Prepare Current Affairs on a daily basis from this page fills your mind with facts and viewpoints and this will improve your skills to face your exam as well as interview boldly.